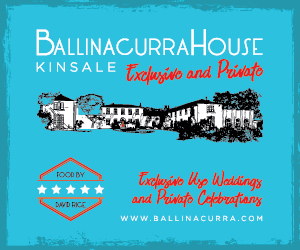 The “Kinsale Gourmet Festival” is held in October of each year and is a celebration of all the fine things that Kinsale has to offer, this year Bollinger Champagne are the Headline Sponsor to support the event and make it the best yet. Visitors can expect to experience a Cookery demonstration with Kinsale & RTE’s Martin Shanahan of “Martin’s Mad About Fish” fame accompanied by a wine reception sponsored by Pallas Foods. The Official Opening at the White Lady Hotel including a Bollinger Champagne reception with canapés from the Good Food Circle, hosted by members of The Kinsale Good Food Circle as well as Dining out at the GFC restaurant of their choice as part of the package. Participating Restaurants include Restaurant d’ Antibes @ The White House, The Blue Haven,The Captains Table @ Actons Hotel, Crackpots, Jim Edwards, Max’s Wine Bar, Man Friday, Pier One @ The Trident Hotel, Toddies, White Lady, Fishy Fishy. On Saturday guests can Join Alice, the Mad Hatter, March Hare and the Fieldmouse for the Highlight of the Festival – an escorted tour of the 11 Members of Kinsale’s Good Food Circle who will present spectacular dishes from their kitchens bearing testimony to the culinary skills of the chefs of Kinsale accompanied by wines from festival sponsors, Gleeson’s, Gilbey’s, Karwig’s & Nash’s. Non wine drinkers can avail of beer compliments of Heineken Ireland or water from Tipperary Water. 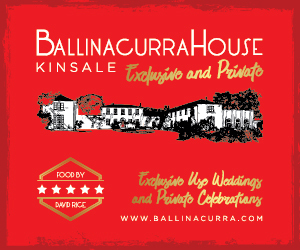 See more about the 34th Bollinger Kinsale Gourmet Food Festival.